When your Essence meets your Personal Year (Numerology Lesson 31) | Law of Attraction Plus: The Secret revealed! ... and a few very special surprises! 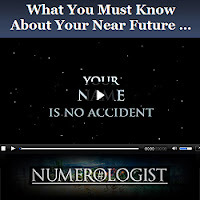 So without further ado, let's plunge right back into the Numerology lessons. Then we go to her Essences Chart where we will be calculate the values of her First Last and Middle Names and adding them together to find out the transits for her years. What we are looking for is a year where her personal year may have been the same as her essence transit. Remember to read vertically! The numbers with an asterisk indicate when her Personal Year number coincides with her Essence transit. As you can see from looking at Lucy Liu's Essences numbers, 2006 is NOT a year in her personal year matches her essences year. Her personal year is a 1 and the Essence transit back in 2006 was a 3. In 1983, when she was 14, Lucy Liu had a hard time of it. The long transit of 4's and 7's that show between ages 11 to 15 show hardship as 4 is not an easy number. That double 4 year she may have had to deal with a lot of responsibility for her age or caring for a family member. However like many famous people she has a spectacular run of 3's (the number of the actor) - six in a row from 1989 to 1993. 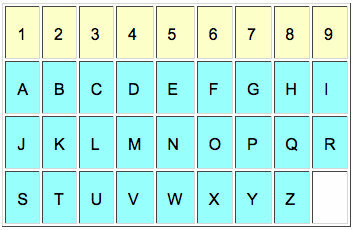 In the next newsletter we will be giving you the interpretations for matching personal and essence transit numbers.